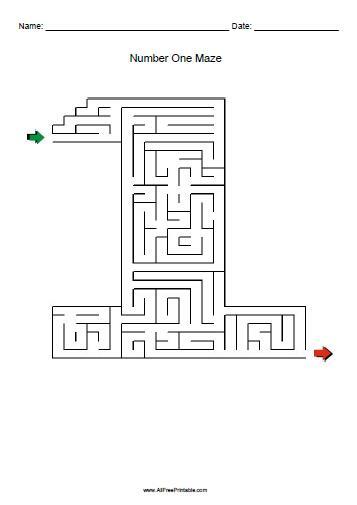 Free Printable Number One Maze. Print Free Number One Maze for school and make kids have fun at Math classroom. Great learning resource game for kids at school. Print free number Maze games here. Print it using your inkjet or laser printer. Share this game with your students and see how they can solve the Maze and find the way out of the Number One. The maze puzzle includes the solution. Click the link below to download or print the free number one maze game now in PDF format.